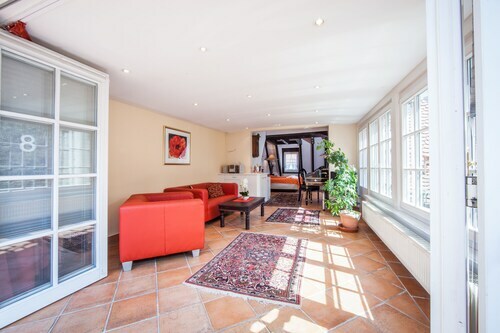 Located in the heart of Ladenburg, this hotel is within 1 mi (2 km) of Dr. Carl Benz Car Museum, Carl Benz Haus, and Lobdengau-Museum. MIRAMAR Erlebnisbad, Salz & Kristall Therme und Saunaparadies and Bonsai Zentrum Museum are also within 6 mi (10 km). Ladenburg Station is 10 minutes by foot. It’s not a family vacation if you can’t bring the entire clan with you, is it? Next time you have a few days off from work, plan a family-friendly getaway. Set off on an adventure the entire family will love, and book your stay at one of the kid-friendly hotels in Ladenburg. Your little ones are the most important thing in your life, so make sure they enjoy your accommodation as much as you do. From a kids-only room service menu (macaroni and cheese, anyone?) to special perks like in-room video game consoles, these lodgings provide a little something extra for the smaller members of your crew. 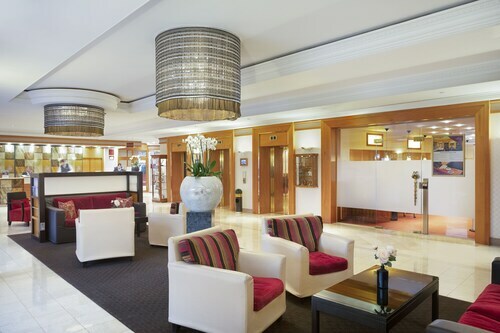 The best family-friendly hotels in Ladenburg may even offer playgrounds and other activities to keep the kiddos busy. What’s more, some hotels provide a babysitting service so you can get a few hours to yourself! Whether you’re traveling with one small child or hauling around your entire extended family, Travelocity is here to help. Let us hook you up with hotels for kids in Ladenburg that will keep your youngsters happy without breaking the bank. You can save even more when you bundle your flight and hotel together, so what are you waiting for? Grab your family and get ready to explore! Our four-day visit to Mannheim concluded a three-week Christmas Market visit to Austria and Germany, our second such trip in two years. We both agreed that Mannheim's Christmas Market topped all we'd seen (20 on this trip alone). And our suite in the Maritim Hotel was top notch. A wonderful end to a great trip. Lovely hotel. Great service. Excellent location. Right across from the Old Bridge. Around the corner from the Christmas Markets. A few blocks from the tram to the Heidelberg Castle. Hackteufel is a deservedly popular restaurant with 12 rooms for guests, a few steps off the main drag in Heidelberg's Old City. The city was not bombed in WW II so everything is very old and also has all the modern updates. The hotel is on a pedestrian street so the cab cannot take you to its door, but the schlep with the suitcase was short and the ambiance was well worth it. My single overlooked the street so all the hustle and bustle wafted in thru the open window (saxophone busker on 2 evenings), which I enjoyed, but more quiet rooms overlooking the back of the hotel are also available. Breakfast buffet was ample and varied, and classic German. Even hotel guests need reservations for lunch and dinner, and my dinner guests, native Heidelbergers, told me the food was excellent. Also typically German. 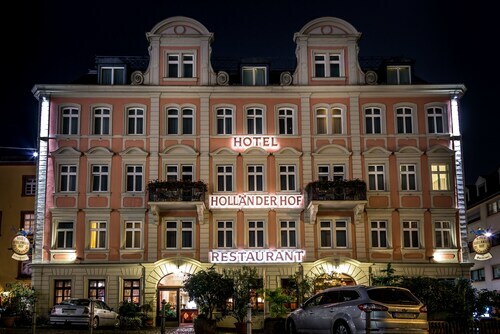 This is not the hotel for you if you want a US hotel experience in one of Germany's most beautiful cities, but if you want an authentic German experience, Hackteufel is a good way to do it. All the staff speaks excellent Englush. I stayed in NH Heidelberg for about 4 days. My overall experience was really good. The comfort of the room was nice. I didn't have any issues at all with the room. The best thing was the breakfast buffet. It was excellent. The only thing that I did not like was the parking which it cost $20 per day. Honestly parking in Heidelberg is not cheap, so parking in the hotel was after all the best option. 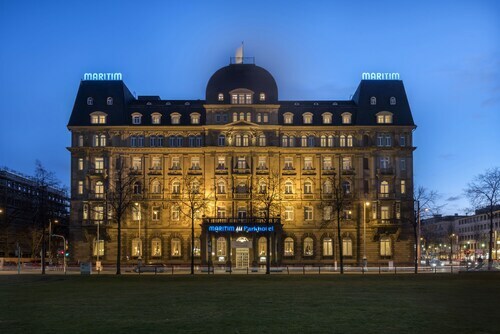 After several different hotels for business I appreciated how seamless staying here was. Easy and friendly check-in; easy check out; very comfortable bed (not too soft) and really excellent sheets. The room was clean, sleek, and functional. Very good. I found the room to be dull and disappointing. Uncomfortable furniture, ugly decor.